BeeFlat is a new bagpipe tuner for the iPhone and Android! Readings down to .1 of a hertz, twenty-five times a second! Calibrate to current pitch with one button press. Running history of pitch to help monitor fluctuations. The red line shows the current pitch at the right-hand side and the pitch history on the tail to the left. Tap the main button to calibrate the tuner to the current pitch. 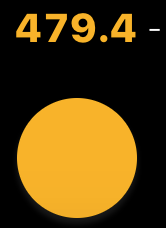 The current calibration is displayed in yellow above the main button. Tap the + and - buttons to tweak the current calibration up or down. Press and hold the buttons to move faster. Press and hold the main button to lock the current calibration. 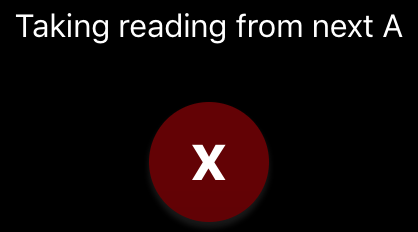 Double tap the main button to take a reading from the next Low A (great for tuning solo). Press the arrows to reverse the scale. The reversed scale is helpful when tuning drones as the pitch indicator will move in the same direction as the drone slide. Ajust the scale range in the settings screen to suit the level of player you are tuning. A higher range suits a more novice, unsteady piper. A lower range suits a more advanced player, and will allow the drones and chanter to be tuned to a greater level of accuracy. Select "Number relative to 440" in settings if you would prefer to see the calibration number displayed relative to a concert pitch A instead of the actual frequency. Some solo players prefer to tune their High A and B slightly flat. BeeFlat was designed and developed by Matt Fraser in Melbourne, Australia. 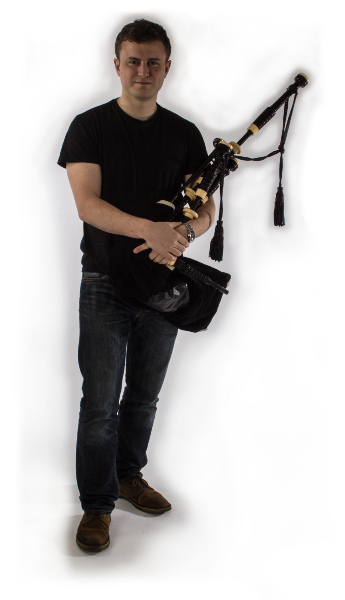 Matt lived in Scotland for five years where he played for the Inveraray and District Pipe Band and competed in solo competitions around the games, including the Silver Medal piobaireachd competitions at Oban and Inverness. In addition to Matt's piping credentials, he has been a professional software developer for over 10 years, developing software for some of the world's largest and well known enterprises. Follow BeeFlat on social media! © 2017 Matt Fraser. All Rights Reserved.